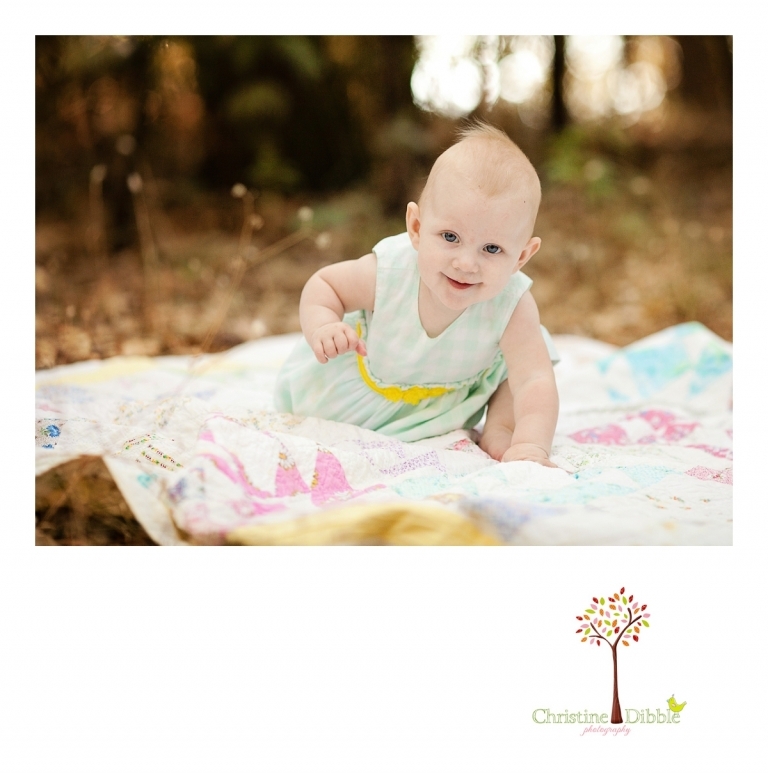 As a baby photographer, it is so fun to see babies at different stages as they learn new skills. 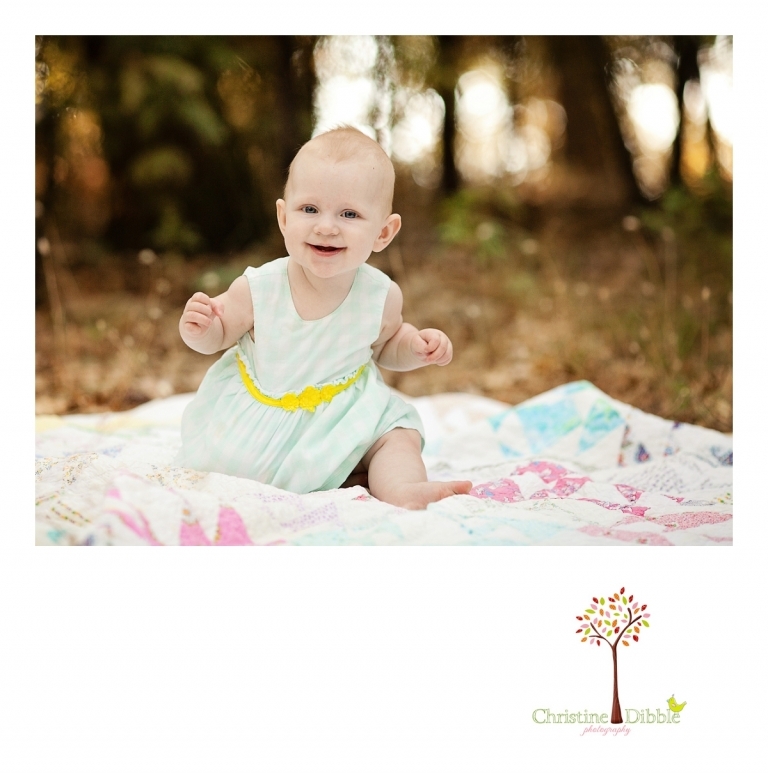 This little lady had her six month session, and she was just starting to put together the motions of crawling. 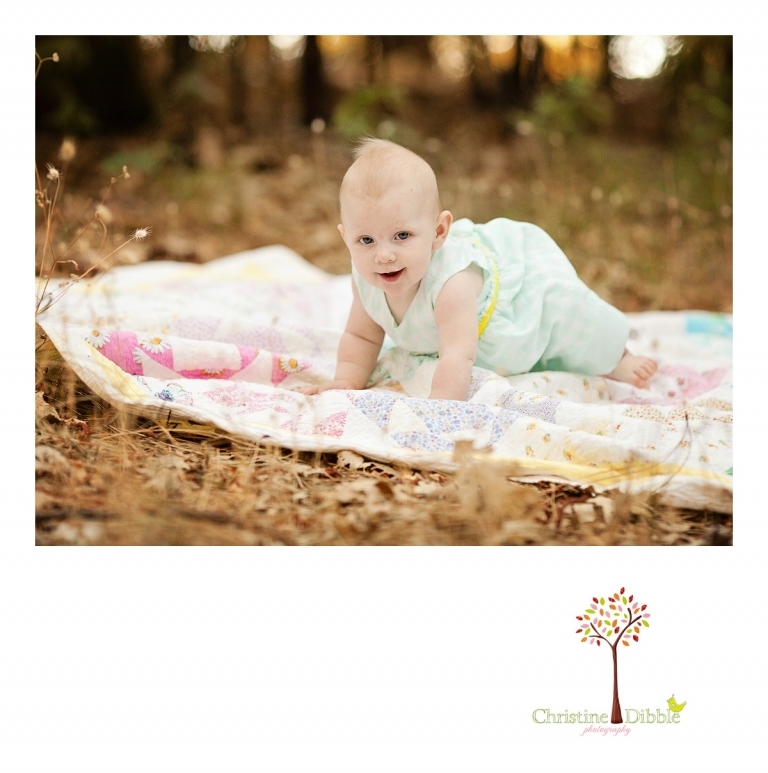 She would start in the middle of the quilt–gorgeous antique quilts from her dad’s family!–and work her way to the edge to see what she could pluck from the dirt. She was not moving fast enough yet to be really difficult, but she sure knew she wanted to go somewhere on her own. 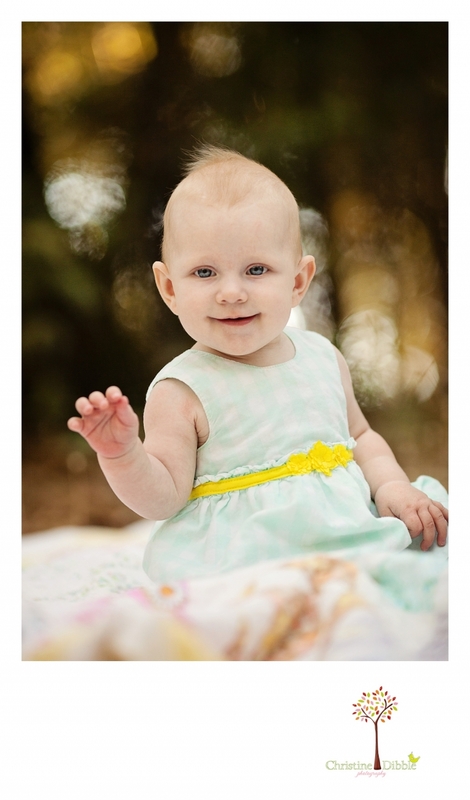 What a great thing it is to have these first few crawling moments caught in photos!